Concerned about your online content which don’t want to be index on the search engine, being index on the search engines? Well, robots.txt generator is a handy tool and it is quite impressive if the search engines visits and index your website. But, in some cases some wrong data is indexed on the search engine which you don’t want people to see. Consider you have made a special data for people who have subscribed to your site, but due to some errors that data is accessible to regular people as well. And sometimes your confidential data which you don’t want anyone to see is made visible to many people. In order to overcome this issue you have to inform the websites about some specific files and folders to be kept safe using the metatag. But most of the search engines do not read all of the metatags, so to be double sure you have to use the robots.txt file. Robots.txt is a text file which tells the search robots which pages should be kept confidential and not to be viewed by other people. It is a text file so don’t compare it with an html one. Robots.txt is sometimes misunderstood as a firewall or any other password protection function. Robots.txt ensures that the necessary data which the web owner wants to keep confidential is kept away. One of the frequently asked questions regarding robots.txt file is, how to create a robots.txt file for SEO? In this article we will be answering you this question. Just keep in mind that the file should be made in text format. 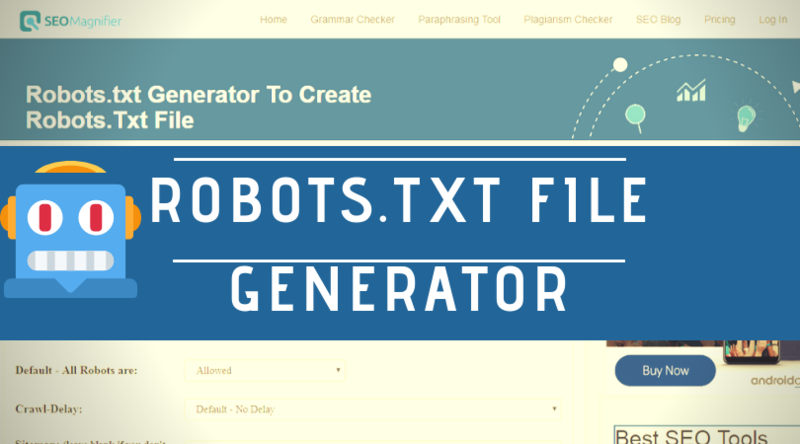 Robots.txt generator what is it and how to use? Firstly choose if you want to disallow all the robots or some robots to have access to your files. Secondly, choose how much delay you require in the crawls. You can decide from 5 seconds up to 120 seconds. Paste your sitemap on the generator if you have one. Select which bot you want to crawl and which bot you don’t want to crawl on your site. Lastly, restrict the directories. The path should contain a slash “/”. By using these easy steps you can easily create a robots.txt file for your website. How to optimize your Robots.txt file for better SEO? If you already have a robots.txt file then in order to maintain proper security of your files you have to create a proper optimized robots.txt file with no errors. The Robots.txt file should be properly examined. For a robots.txt file to be optimized for search engines you have to clearly decide what should come with the allow tag and what should come with a disallow tag. Image folder, Content folder, etc. should come with the Allow tag if you want to your data to be accessed by search engines and other people. And for the Disallow tag should come with folders like, Duplicate webpages, Duplicate content, duplicate folders, archive folders, etc. 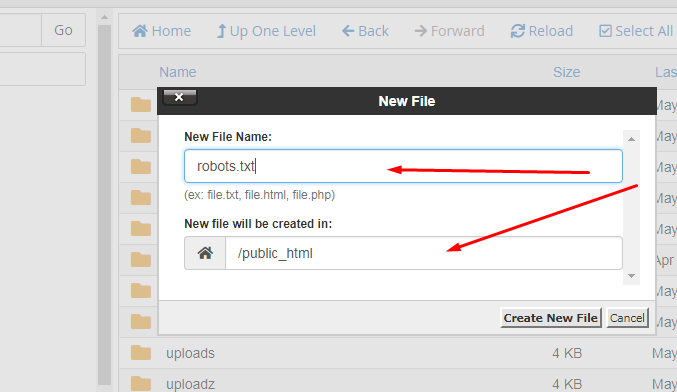 How to use robots.txt file generator for WordPress? Firstly login to your hosting Dashboard like Cloudways. Cloudways is robots.txt generator WordPress. After logging in to dashboard, Select the “Servers” tab which is located on the top right of the screen. After that open “FileZilla”, which is an FTP server application used to access WordPress document. After that connect FileZilla to a server by using “Master Credentials”. After connecting to the server go to the “Applications” tab. Return to Cloudways and from the top left go to the “Applications” tab. Select the WordPress from the applications. After logging in to the WordPress panel, select “File manager” from the left tab. Create a new text file and name it “Robots.txt”. After that open that file on any typing tool like, Notepad, Notepad++, etc. Since Notepad is built in you can use it. 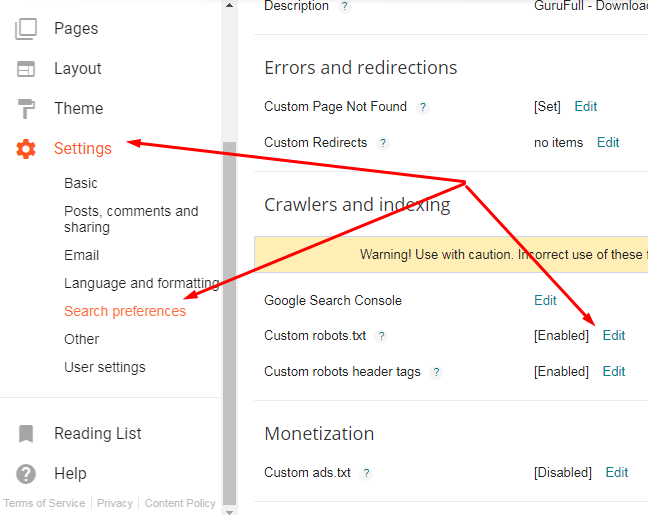 How to enable Robots.txt on the Blogger dashboard? Firstly visit your blogger blog. After that go to the settings and click “search preferences”. From the Search preferences tab click on the “crawlers and indexing”. 4. From this go to the “Custom robots.txt” tab and click on edit and then “Yes”. 5. After that paste your Robots.txt file there to add more restrictions to the blog. You can also use a custom robots.txt blogger generator. 6. Then save the setting and you are done. 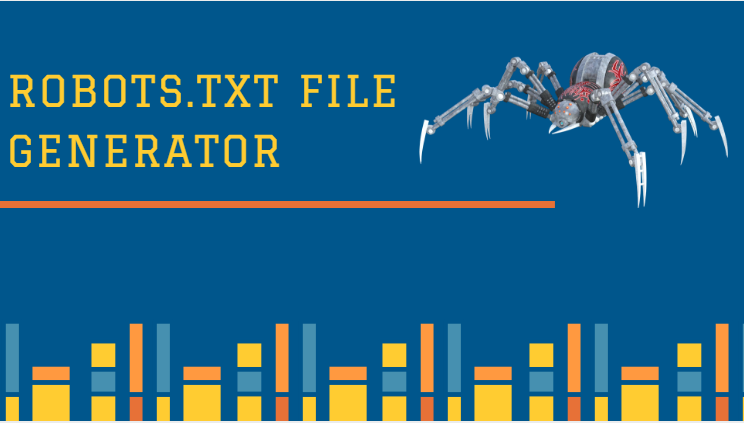 How to create the robots.txt file using SEO Magnifier? There is no rocket science behind using seo magnifier robots file creation tool. Simply Follow these steps for generating your file. Select the "allow all" or "block all" robots from the option. Choose the "crawl delay time". Choose your favorite search engine robots that you want "allow" or "block" separately. Add any directory that you want to restrict e.g /admin, /uploads etc. After adding all the info simply click the "create robots.txt" or "create and save as robots.txt" and you have done and them simply upload this file to your "website root directory".